Add an additional 2 to 3 ounces of extra protein to your day. Split your lean and green meal into two meals so that you are eating 7 times a day, rather than 6. And of course, drink your water! If you can think of anything else, please leave me a comment and I will give it a shot! I officially re-started yesterday. I am not going to lie, it has been hard. We all know about those infamous first three days when trying to go back on plan. You know those pounding headaches, hunger pains, or fatigue as your body gets adjusted to the plan. Luckily, I didn't get the infamous headache, and this has been my second day so I will take that as good news. After three or four days, it does get easier as long as you don't cheat. I am trying and I have hope that I will succeed. One day at a time as they say and day two is just about done. On to day three! Hallelujah! But first, I have to share this yummy recipe with you! Cody Jo over at New Beautiful Me had this awesome recipe that I just had to try for Chocolate Chip Cakes . I have to say that this is one of my favorite "On the Go" recipe. You can make these in advance and stick them in a little plastic baggie to take along with you. The weekends get kind of hectic in our household, so these are perfect for me to make the night before. I usually make four at a time. Another great thing about these little cakes is that you can switch out some of the Medifast meals and use different types of pancake mixes with the brownie or chocolate chip soft bake. These are especially good with the light laughing cow cinnamon cream cheese! Oh my heavens! Delish! You could always eat these plain or with a bit of cream cheese too! Enjoy this versatile recipe! Preheat oven to 350 degrees. Combine the brownie OR chocolate chip soft bake mix with ONE of the pancake mixes. Add baking powder and water stirring until combined. 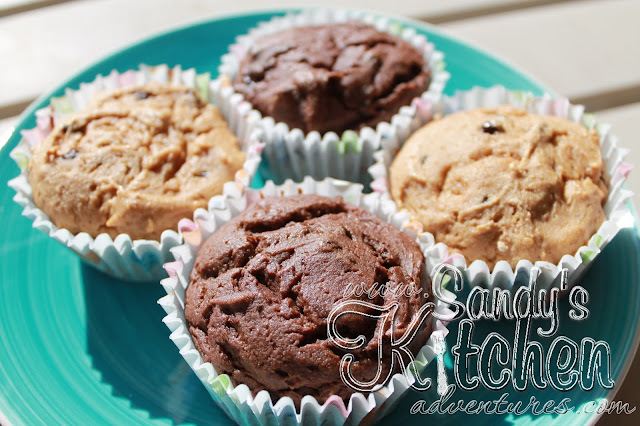 Divide batter into two brownie trays or muffin tins and bake for 18 minutes or until done. This makes a total of 2 servings, 1 cake per meal.